J S Building Contractors Builders are based in Leeds, West Yorkshire and offer plasterers, skilled in all aspects of plastering. We are a professional and reliable building company with years of experience and lots of happy customers under our tool belt. We offer a full range of plastering services to both the public and local authorities throughout West Yorkshire and surrounding areas. Whether you require a quick patch to plaster work, cement render, a plasterboard wall or you need a rough caster or tiler or even require a complete home renovation project then look no further than J S Building Contractors Builders Leeds, West Yorkshire. All our plasterers are trained to the highest degree of competence, resulting in the production of highly skilled work. They use their experience to dictate the type of plastering required for each project to achieve the best results. We are experienced in plastering not only vast flat expanses but also more intricate projects where precision is essential. We also take great pride in our expertise and ability to offer an unrivalled finish. We can also carry out hand applied floor screeds using traditional cement, sand and granolithic, for both commercial and domestic buildings, which can be used with thermal and acoustic insulation. Other services include Dry Lining and Partition Dry lining, which are suitable for many different types of building, whether the project is a new-build, a restoration or refurbishment. 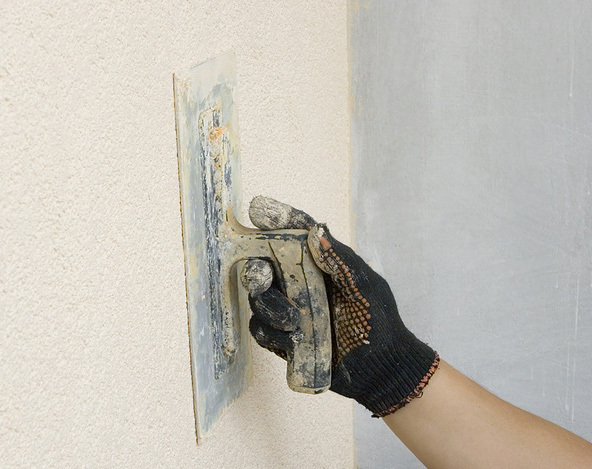 Our plasterers are highly skilled in all aspect of plastering including the essential Taping and jointing, which creates a smooth finish on the plasterboard ready for painting and decoration. We use only the best value products, which guarantee the best possible finish. All plastering work is carried out by our skilled plasterers who take pride in their work and accept nothing short of perfection in the finish they produce. We can offer a free, no obligation work estimate for all services required and we are sure you will find our services and prices favourable. Tiling Bathrooms & Kitchens with wall and floor tiles.